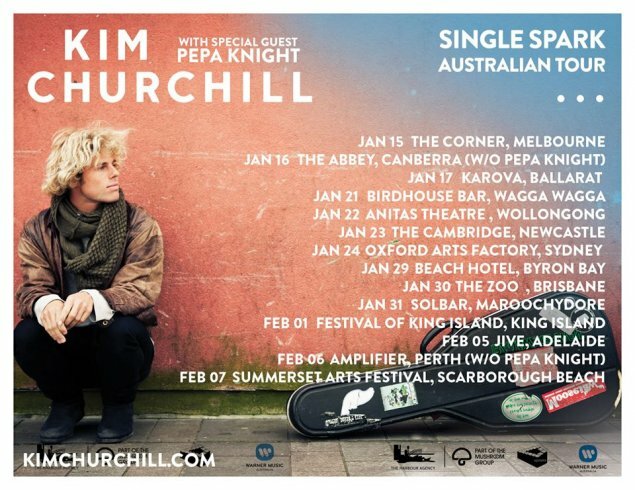 Canberra born and Merimbula raised singer/songwriter Kim Churchill returns to the nation’s capital to promote his new single, Single Spark, which is also the opening track from his Silence/Win album, released last year. Kim is a multi-instrumentalist renowned for his deft guitar work. At only 24 years old, he has opened for both Billy Bragg and Michael Franti and completed successful international headline tours through Canada, the UK and Europe.